The weather was warm and humid and I swatted at bugs as I trudged through the jungle, birdsong filling the air. In time I came upon a rough track. 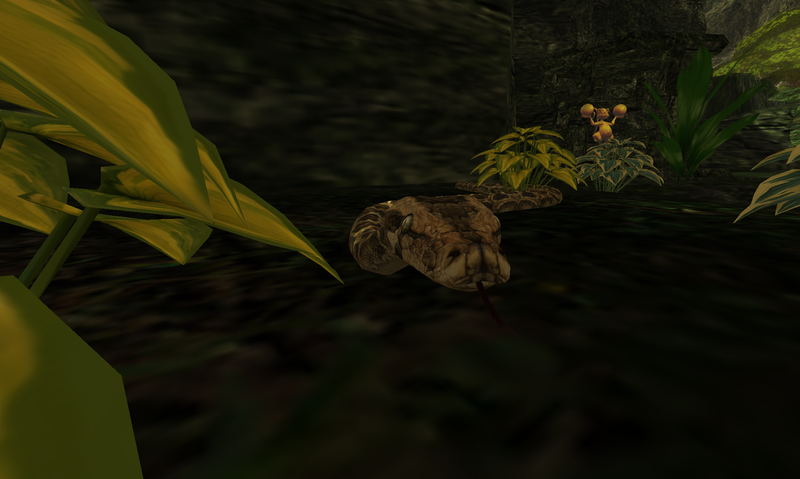 As I strode forward a chill ran through me - half concealed in the undergrowth a huge snake regarded me with its pitiless eye. I stepped carefully around it, fearing a strike. 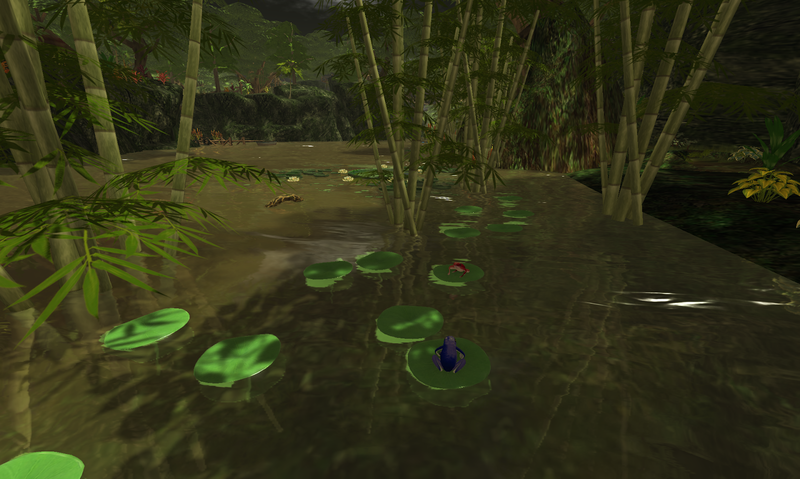 Moving carefully onwards, I paused to admire a colony of frogs, hopping amongst the lily pads. I was tempted to catch one, but remembered that many of the amphibians here secrete a poison from their skin so contented myself with a snap for my journal. Further along I noticed a curious arrangement of pillars - half concealing a strange figurine. My interest was piqued and I stepped closer to investigate. 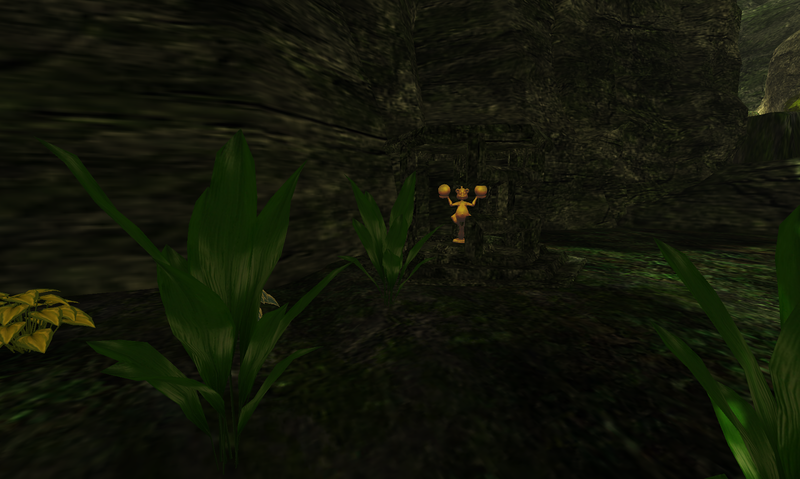 A close view revealed some monstrous native deity, perhaps a Monkey God. 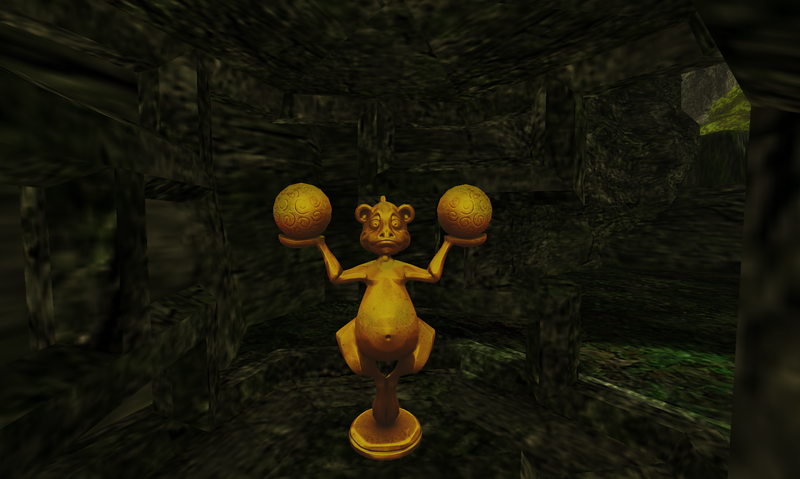 As I studied the statue I seemed to hear a voice, a voice that required an answer to a most tricky riddle - and I knew that if I solved the riddle some gift would be given to me. But what, oh what is the answer?